Sponsored by Caradonna Adventures: Sick of snapping blurry, bluey photos beneath the water’s surface? Here’s how to take awesome underwater photos. Sponsored by Caradonna Adventures: Where it is, why to go and what sea life you can spot in Indonesia’s hidden diving gem. 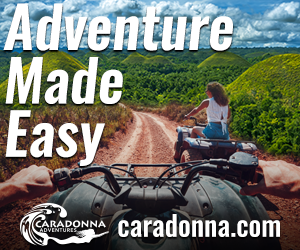 Sponsored by Caradonna Adventures: Looking to dive into the world of diving? Start with these three newbie-friendly Caribbean destinations. Sponsored by Caradonna Adventures: Everything you need to know about close encounters with the ocean’s apex predators. Whale sharks are slow, smiley and camera-friendly, and nowhere is it better to swim beside them than on Isla Holbox, Mexico. Sponsored by Caradonna Adventures: It sounds cliché to say that scuba diving was a life-changing experience. But it was. Sponsored by Caradonna Adventures: You're diving with turtles, your camera is ready, you're excited—and then your mask fogs up. Here's how to avoid it. Sponsored by Caradonna Adventures: When you meet a turtle in the water, you want to know your stuff. Here’s how you can tell a turtle’s age, where to find them and how to react. Sponsored by Caradonna Adventures: Working with a travel agent can open up an inside advantage on travel tips, discounts and problem-solving anywhere in the world.